Murray Hill Inc., the first corporation to run for Congress following the ruling by the U.S. Supreme Court in the Citizens United v. Federal Elections Commission case, is running ads on Ohio and Delaware radio stations in support of Rep. John Boehner (R-OH) and U.S. Senate candidate Christine O'Donnell (R-DE). The corporate candidate plans to roll out this campaign to other congressional districts and states between now and the November election. The 30-second ads hail the candidates for their opposition to the Disclose Act, the legislation sponsored by Rep. Chris Van Hollen (D-MD) that would blunt the impact of the Court's ruling protecting the rights of corporations to make unlimited, undocumented campaign contributions. 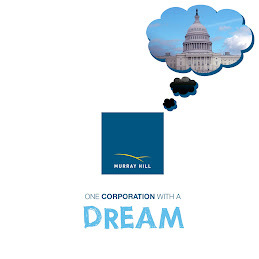 Murray Hill Inc.'s campaign against Rep. Van Hollen in Maryland's 8th Congressional District has received national and international press coverage, including a front-page story in the Washington Post, NPR's All Things Considered, CBS' Face the Nation, CNBC, the BBC, and the New York Times and Newsweek online, and numerous national and local radio interviews. Murray Hill Inc.'s campaign video has received more than 220,000 views on YouTube. "The sinister forces of anti-corporate bigotry are gathering to limit the free-speech spending rights of America's great corporations," Murray Hill Inc. said in a statement. "Thankfully, true patriots like John Boehner and Christine O'Donnell know that corporations are people too, and they have an inalienable right to wield unchecked power in our elections." "We often hear that we have the 'best Congress money can buy,'" says Murray Hill Inc., "but sadly, this ideal remains elusive. Our goal is to elect a corporate Congress whose loyalty and votes can be openly sold, leased and traded. These priorities are important to John Boehner and Christine O'Donnell, and they are important to the American people." Here is a video version of our John Boehner Spot.